Radically increases financing for energy efficiency and renewable energy, with a clear priority to boost small-scale and community-led decentralised renewable energy projects. For just a few weeks, the European Investment Bank is consulting the public about which energy projects to fund. They’re reviewing their lending policy - and give us a rare opportunity to demand that the EU’s house bank drops all fossil fuels financing. The science is clear: we cannot afford to build any more fossil fuel-burning projects, if we are to have any chance of stopping the worst impacts of climate change. But the EIB continues to use public European money to finance the fossil industry, using clever exceptions and a narrative pointing to false solutions. Right now, we can help stop that. The EIB is a public bank. It lends the most money in the whole world, even more than the World Bank. With strong new energy lending rules, the Bank’s shift away from coal and gas, and towards more small-scale renewables and energy efficiency, could genuinely help set Europe on the right path to fight climate change. The Bank, and it’s President Werner Hoyer, are not often in the public spotlight. The President holds a lot of power over the Bank’s direction and can influence the future policy of the EIB. With a petition targeting him personally, we can put Mr. Hoyer under enough public pressure to make sure our demands are heard. Member States of the European Union are the shareholders of the EIB. They have all signed the Paris Agreement in 2015. But since then, the Bank hasn’t changed its energy lending policy, and keeps financing fossil fuels - which is in direct conflict with EU’s climate commitments. Just a few months ago, the EIB promised to align its lending criteria with the goal of the Paris Agreement: keeping global warming to 1,5C. To make good on that promise, the Bank needs to cut all support to fossil fuels - and stop bankrolling climate breakdown. There’s a precedent - so we know the campaign we run with our partners can have a real impact. In 2013, after a fierce civil society campaign, the bank decided to tighten their lending criteria. That change practically ruled out direct lending to coal. But fossil gas is still a dangerous exception. As recently as early 2018, the Bank approved more than € 2.4 billion of financing to one of the most expensive and damaging gas projects of all times: the Southern Gas Corridor. The part of the pipeline passing through Greece and Albania and landing on southern Italian shores - known as the Trans Adriatic Pipeline (TAP) - was granted a loan of €1.5 billion. A €932 million loan was approved for the Trans Anatolian Pipeline (TANAP) - TAP’s eastern “sister” crossing Turkey. Instead promoting dangerous fossil fuel project, it’s time to invest in a fair, clean future, and boost funding to small-scale, community-led renewable energy projects, and improving energy efficiency. That’s the energy transition we need. That’s the EU bank we want. But the EIB continues to use European taxpayers' money to finance the fossil industry, using clever exceptions and a narrative pointing to false solutions. Right now, we can help stop that. The EIB is a public bank which lends the most money in the whole world, even more than the World Bank. With strong new energy lending rules, the Bank’s shift away from coal and gas, and towards more small-scale renewables and energy efficiency, could genuinely help set Europe on the right path to fight climate change. 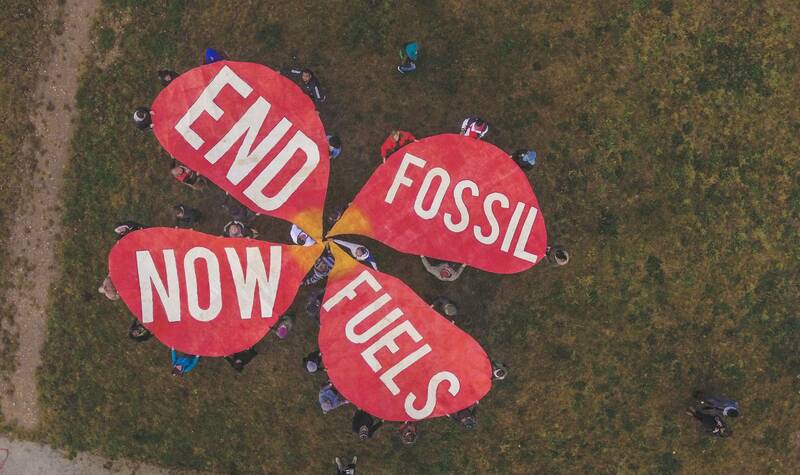 Instead of promoting dangerous fossil fuel projects, it’s time to invest in a fair, clean future, and boost funding to small-scale, community-led renewable energy projects, and improving energy efficiency. Subject: Demand a Fossil Free EIB! Now, will you share it with your friends? It takes just a few seconds!